The vigorous development of Systems and Synthetic Biology constitutes a huge challenge that must be met both from the research and education perspectives. mSSB represents the first step towards nurturing a new brand of researchers and engineers to face up to the challenge. 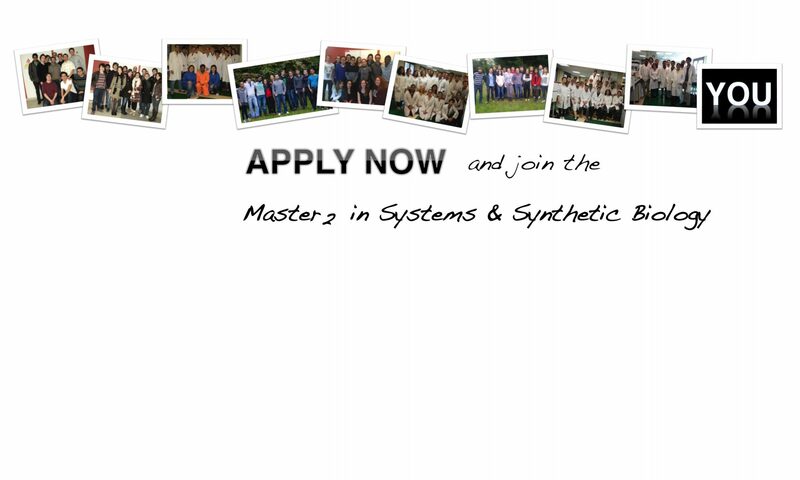 The aim of mSSB is to provide students from the Life Sciences, Mathematics, Engineering, Chemistry, Physical and Computer Sciences a mean to fruitfully engage in collaborative work across disciplinary boundaries, with applications in Systems & Synthetic Biology. Students undertaking the course will gain hands-on experience in experimental Biology, modelling and designing. They will also enhance transversal capacities including planning a project, giving a seminar, perceiving the industrial, economical and ethical issues associated with these developing fields. Students must attend three compulsory modules and three elective modules chosen among six, for a total of 30 European Credits (ECTS). The courses proposed in each module are described bellow. Applicants may come from Universities or from Engineering schools. After a first year of master (M1), or an equivalent qualification (4 years of successful higher education after finishing high-school), in either Biology, applied Mathematics, Computer Science, Chemistry or Physics. Bi-disciplinary cursus including biology is favoured, but highly-achieving and motivated students in any of the cited disciplines can apply. Excellent English proficiency is required. see former mSSB students main discipline studied before mSSB. The applications for 2019-2020 academic are open.